Waterfront residential lot with 80± feet along Elkcam Waterway. Quick and easy access to the Port Charlotte Town Center. Convenient to shopping, banking, supermarkets, schools and churches. 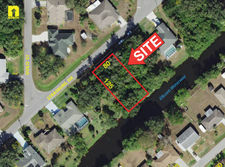 Location Description: Located just south of Port Charlotte Town Center in Port Charlotte.